Springtime festive illustration of decorated Easter eggs. Lush grass with blooming flowers in front of the eggs, different colors and decorations on all of them. Free vector illustration to use in all kinds of wallpapers, backgrounds, greeting cards and festive print materials. 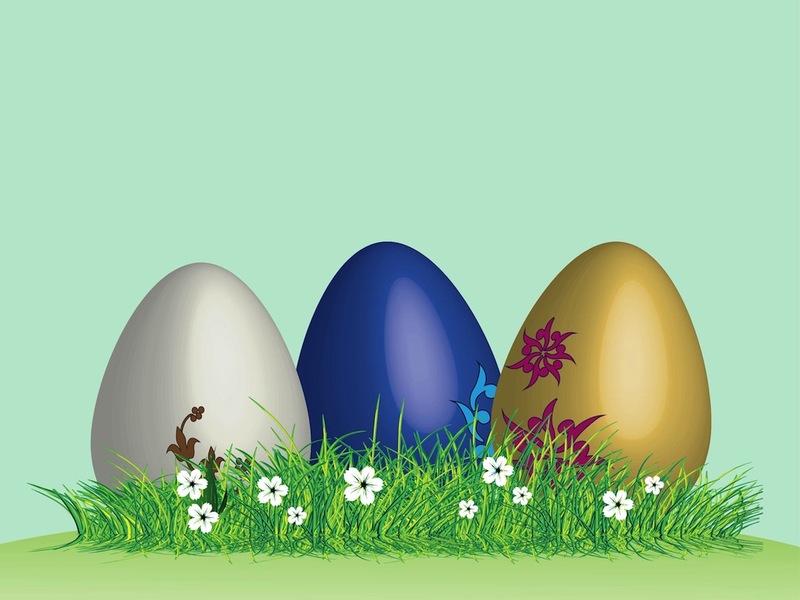 Download free colorful eggs vector. Tags: Colors, Decorated Eggs, Decorations, Flowers, Grass, Holiday, Ornaments, Spring.